I always think of my Uncle Jessie Hill when I hear the words “peaches and cream.” Whenever we’d visit his home in Laurenburg, N.C., he’d make sure to feed my little sister Sherrin and me a bowl of peaches and cream, which was, to me, an amazing food, as I had never had cream before. He’d slice up a few peaches, sprinkle them with sugar, and drizzle some cream over them. Sometimes he’d even slice some bananas in there, which I also really thought was fantastic. Such a simple food, but here I am, several decades later, still remembering it. That’s how food often is for us, isn’t it? The most simple foods, the most humble dishes, can be a person’s favorite meal. For example, my dad used to crumble bread into stewed tomatoes, heat it up and pour it in a bowl and eat it. Similarly, my father-in-law often takes a big piece of cornbread and puts it in a glass, pours some milk over it, and eats that. I know why they eat (and love) these foods that I am not particularly attracted to. You see, they both come from families in the south in which there were a lot of kids, and both of the fathers in those families, Papa and Pops, respectively, were farmers. Times were tough. My grandmother, FatMama (yes, she was called that!) and my husband’s grandmother, Mammy, were trying to find ways to stretch the food, and make it filling. Sometimes some canned stewed tomatoes and stale bread might be all Fat Mama had in the kitchen, so she made it work. Same for Mammy with the cornbread and milk. Not fancy, not beautiful, but filling for all those little tummies that needed to be fed. The peaches and cream combination IS beautiful in its simplicity. I could eat it every day if I had good, fresh peaches. 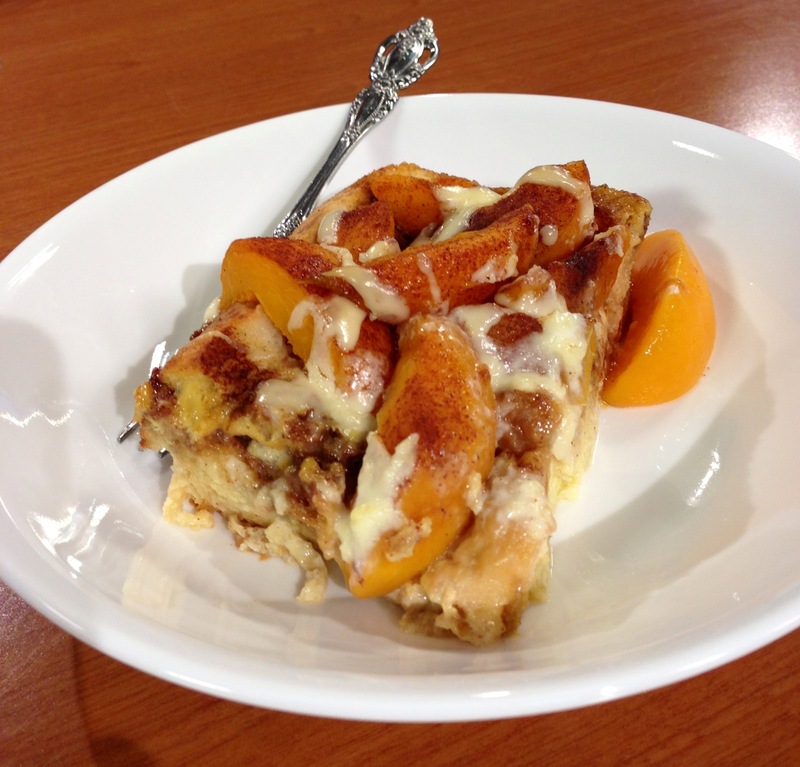 Unfortunately, we lost most of our peach crop in East Texas due to a freeze, so there aren’t so many to be had, but here’s a simple recipe for peaches and cream French toast casserole that you can use with sliced canned peaches, if that’s all you have. It’s very delicious, so don’t hesitate! Here’s the recipe, and please let me know how it turns out for you if you make it, ok? 1. Spray or butter a 9×13′ casserole dish. Arrange bread slices in the bottom, as tightly fitting as possible. 2. In a large mixing bowl, whisk together all eggs and milk, then add sugar and vanilla. Whisk until dissolved. 3. Pour egg mixture over bread, and then arrange peach slices all over then top, distributing evenly. 4. Sprinkle with brown sugar and cinnamon, then cover tightly and refrigerate overnight, or at least 8 hours. 8. Let stand for ten minutes before serving. 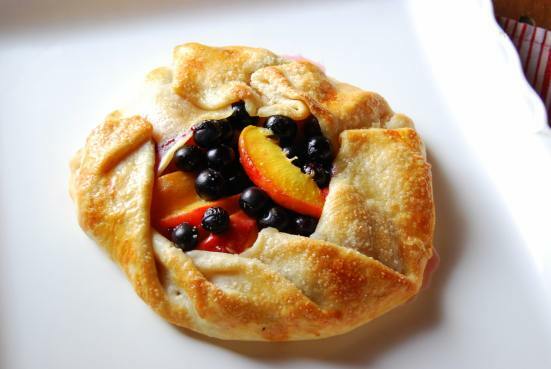 Join Mama Steph on Facebook for more recipes and conversation by clicking here.